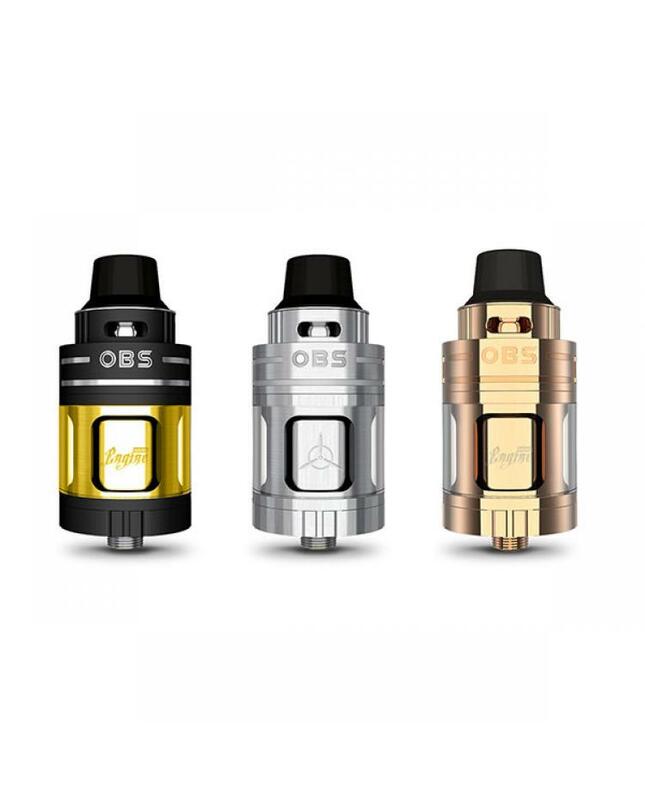 Newest OBS RTA tank engine nano, three fashionable colors available, can hold 5.3ml e juice, the new OBS tank inherited the engine tank's top airflow design, don't worry condensate and leaking, only rotate the top cap to adjust airflow, the engine nano tank features the patent top side filling design, rotate and pull up the top cap to refill e juice. 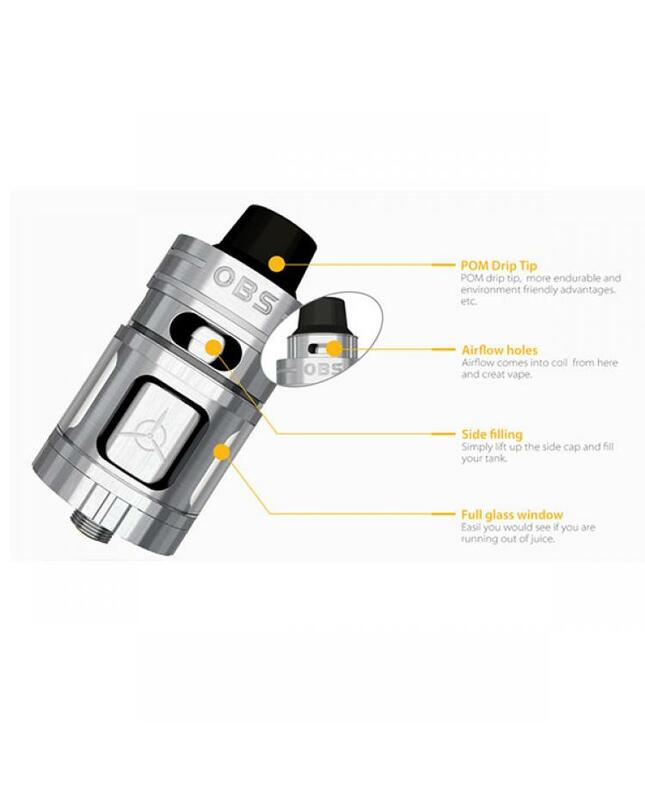 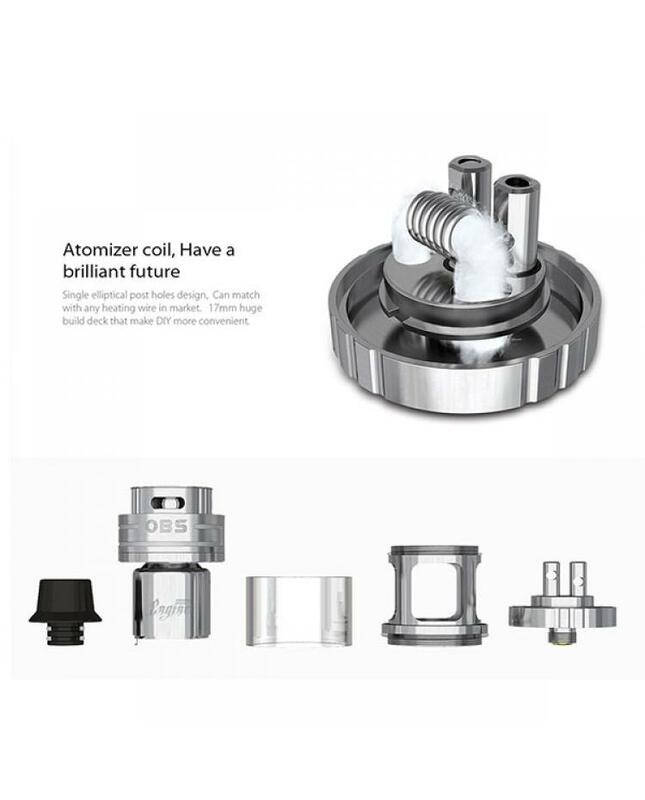 the engine nano tank built-in single elliptical post holes design, the 17mm large size build deck allow vapers to install the pre-built coils easily. 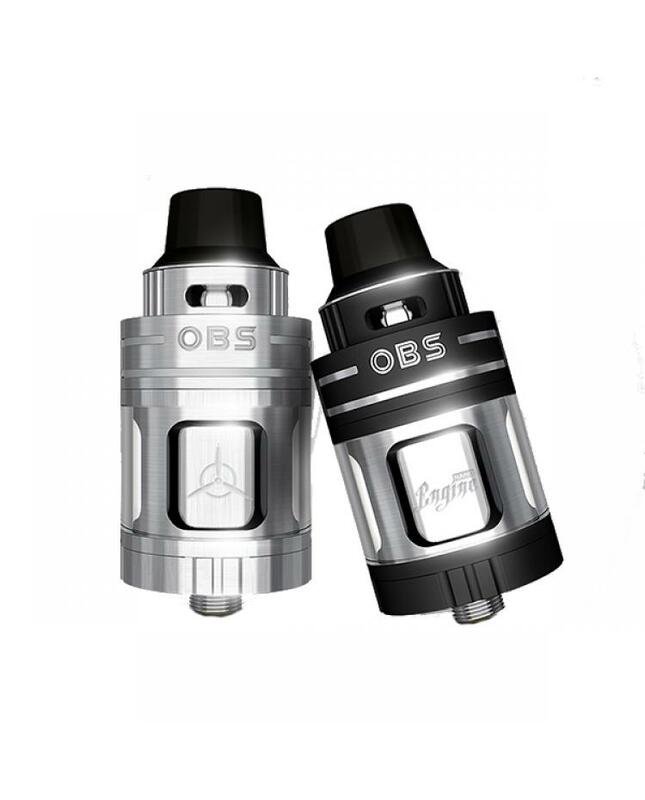 all parts of OBS RTA tank detachable, easy to clean.